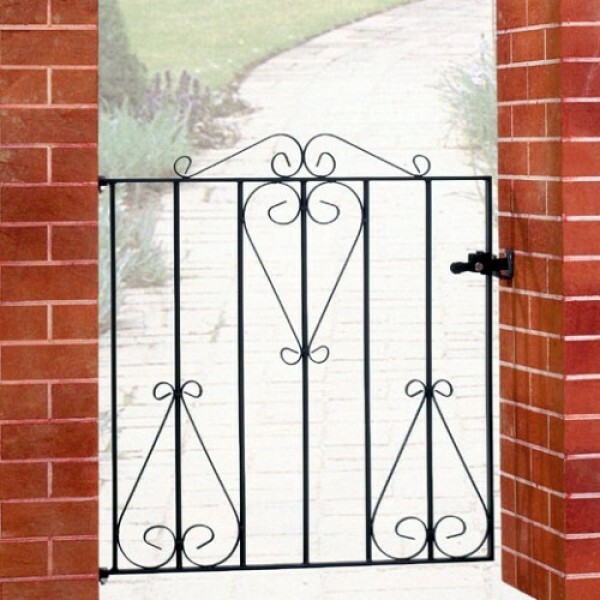 The Classic Range of Single Gates are constructed using solid steel with a traditional wrought iron gate appearance. The classic and elegant design will grace your pathway for years to come whilst offering excellent value for money. 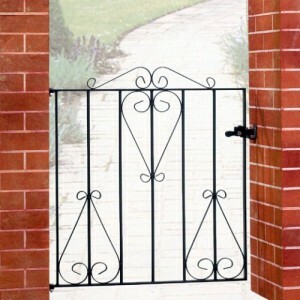 This gate can be supplied with either a primed or galvanised and powder coated finish. 50mm (2") square Gate Posts that are pre-drilled and designed to be concreted into the ground are also available. For example, if the measurement between your walls is 3ft. You should order the 3ft gate. If you also require posts, the space taken by the posts will be in additional to the gap required for the gate, so a 3ft gate and 2 posts will require a total opening of 3ft 4in. Primed. With a primed finish, a black undercoat is applied at the factory. The gate will then need to be painted before installation with a suitable exterior metal paint, such as Hammerite, then repainted every 4 or 5 years to protect the metal. This option allows you to paint the gate in any colour of your choice. Galvanised & Powder Coated. With this option, the steel is electro-galvanised to add a thin layer of zinc on the steel to prevent rust. The gate is then powder coated in a black paint to give a smooth satin finish. This option allows the gate to be hung straight away and will be maintenance free for 5 to 10 years. Once rust starts to show, the gate should be painted with a suitable exterior metal paint such as Hammerite. Fittings. The Classic Single Gate is supplied with hinges, latch and latch keep. Please note the hinges and latch keep require a flat vertical surface for installation. Opening Directions. The Classic Single Gate is supplied with a universal latch for left/right hand opening. Square Steel Posts. Posts are only required if you do not already have walls or posts in place on which to hang the gate.